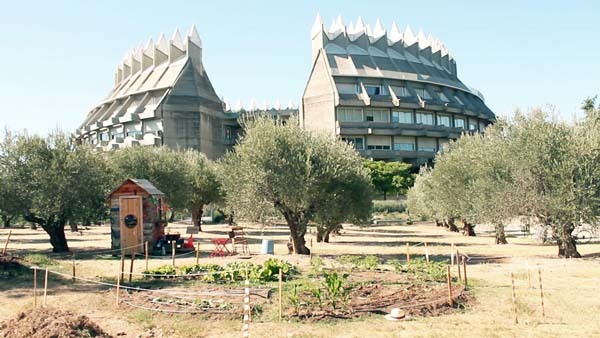 This projects creates a temporary community at the university campus to experiment with self-organisation, groups sociology and collective agency, taking examples of spiritually and ideologically based intentional communities as a space for revision, inspiration, and aesthetical contemplation. Learning to do together, by doing. 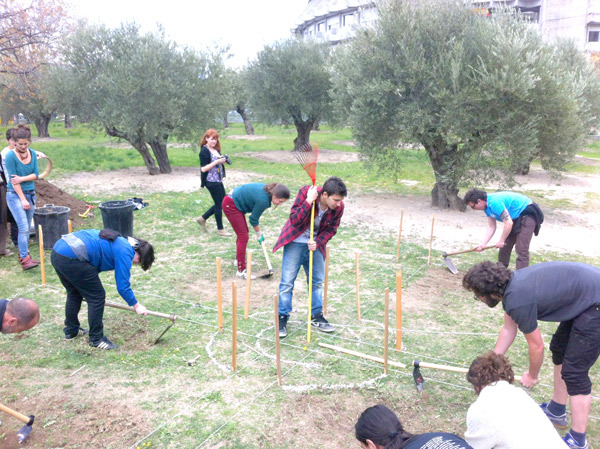 Based on a study of the university´s social ecology, its relations with the space, its uses and also on the harmony between elevated and manual activities (essence of art and agriculture), an intervention plan is proposed. During a farming season, the gathered group of students, build an open-air classroom and laboratory, cultivation of the gardens land and a program of meetings, workshops and moments for discussion and action, amongst themselves and with invited guests and university staff. 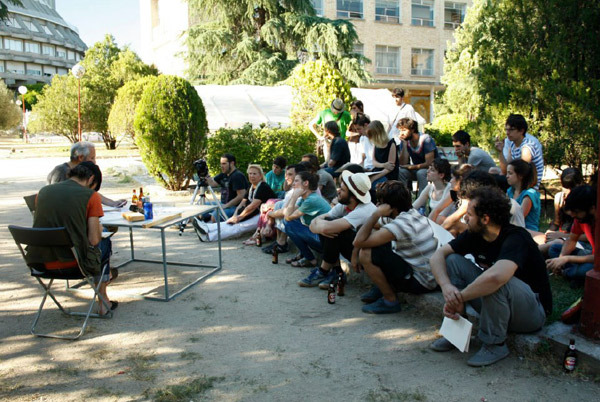 The university emerges as a learning and experimentation space, especially in the fields of creativity, where the student, being an active subject, proposes reflection devices. However, the most common situation, more or less influenced by the university system itself, is that of a teaching staff mired in routine civil service mechanisms, and students becoming mere users of the building. There are as well maintenance and non-teaching staff, all having different uses of the university. How these social groups are linked to each other? Is it possible to learn the creative energy that precedes the common commitment of the social self, the expansion of the concept of artist, going from the student to a self-conscious human being, aware of the basis for its existence? The social utopias that organized communities throughout history have been built on the satisfaction of two basic needs, according to its promoters: the nutrition and sustenance of soul and body. Growing food and taking care of nourishment, and the development of culture and sensitivity. Most of these social experiments collided with different limits, disagreements between individuals, classes, commitments and conceptions. - The diagnosis of the origin of the problems that befall us: the economic causes, ethical and moral causes. 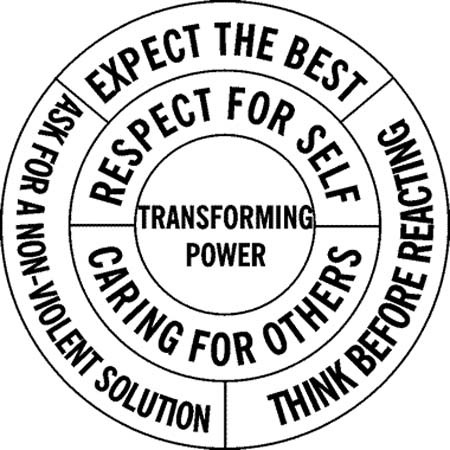 - The process: towards a change of social structures, resulting in the change of human beings, which would result in better communities, institutions and ultimately a better society. - An organization of work for the foundation of a community based on the agreement between self-interest and the public interest. Program: Open calls for this working group linked to the initiative, building infrastructures and Fridays for farming. design and construction of multipurpose furniture elements , seedlings, construction of greenhouses. Planning and organization of agricultural land, soil analysis, biological control of pests. 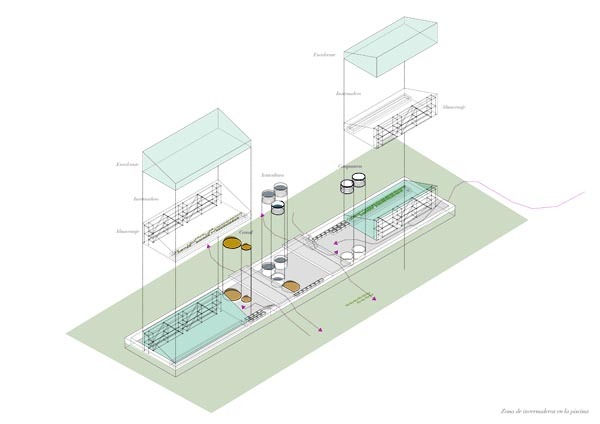 Exchange with the various initiatives of urban agriculture in the city. Evaluation and analysis of the project´s development and its continuity. 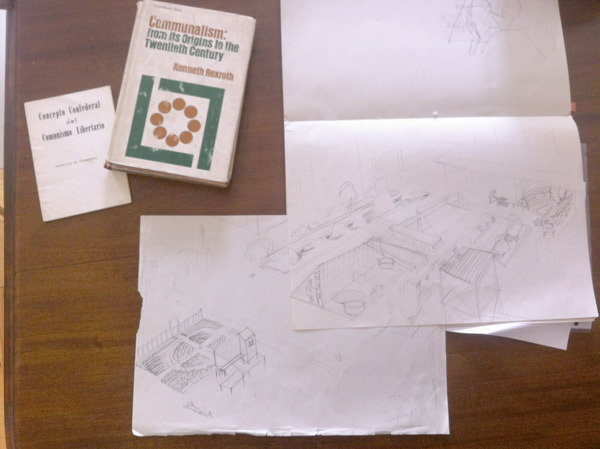 April 11 to 15: Introduction to Architecture recycling : Collection of discarded construction materials and production equipment for the project. From then until the end of July, various activities on Fridays. For more information see the project website. 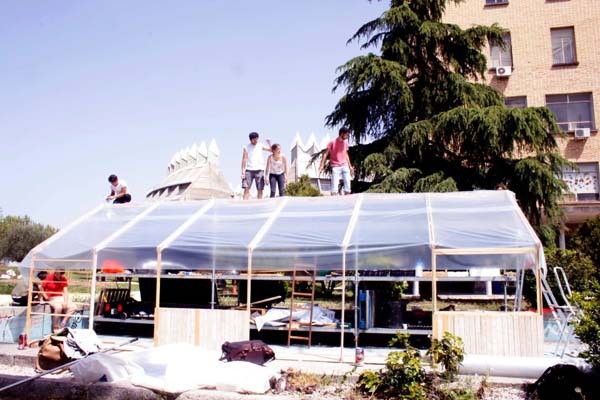 Funding by Extension Universitaria, R+D Ecology Group, in collaboration with Amalia Ruiz-Larrea, Taller de Casqueria, Pool, students and all university staff.